Water is the number one enemy of many houses. Water damage to the structure has been the most damaging and costly, causing foundation problems, rot and the dreaded mold. Grade sloping (or draining) back toward the home. This could lead to damp or wet crawlspaces, foundation movement, cracking or settlement. Water wicking up the foundation could lead to rot in the walls, framing members and mold. Some indications of foundation movement include windows that are out of square; interior doors that have large, uneven gaps at the top when the door is closed; or floors visibly out of level. If you see this, know that the cost to correct this problem could add up quickly. Stucco issues. Homes with stucco exterior surfaces, when applied correctly, will last a lifetime. However, a major flaw we see in the field could add up to water in the living space and big bucks out of your pocket. At the base of exterior walls, where the foundation and the bottom plate (sill plate) meet, a component of a stucco-surfaced wall called a weep screed is applied. We know water can enter stucco through cracks, around unsealed light fixtures, outlets and the like. The water then hits the house wrap and sheds down to the weep screed and out the building. This is brilliant, but when concrete patios, stoops or sidewalks have been poured too high and the weep screed is buried, the system cannot work and water may enter the walls and living space. When you are walking around a house and you see the weep screed disappear into the concrete, this may one day lead to water intrusion and damage. Roofing materials. As homes age, so does the material covering the roof. This is the component of the house that keeps us and the internal workings of the house dry. As the roofing material ages, it lends itself to water intrusion and can lead to expensive repairs or even replacement. If roofing material is improperly installed, it can lead to premature aging. There are many types of roofing materials used to protect us from the elements. The most common, starting with the most economical, are asphalt shingles, wood shakes/shingles, terra cotta tile, concrete tiles and slate, just to name a few. Asphalt shingles have a life expectancy of between 15 and 40 years. With age, asphalt roof shingles will begin to cup either up or down. They will blister and have granular loss. Next, the matrix (material holding the product together) will be exposed. At this point, water becomes the main enemy, waiting patiently for the opportunity to make its move. Wood shingles and shakes will show similar symptoms as asphalt when aging. Cupping, curling, lifting, splitting, insect damage, rotting and missing sections are all possible. Terra cotta, concrete and slate tiles have life expectancies of about 20 to 100+ years. These materials are very brittle. Expansion and contraction caused by the changing seasons will cause these tiles to crack or become loose. Walking on these tiles can be deadly to the material. Cracking and the signs of aging can be difficult to see from the ground. It will usually take a good pair of binoculars and a solid ladder to get a bird’s eye look at the condition of the roof. Any signs of previous substandard repairs should be a warning sign that water may have been leaking into the property. Home style vs. building materials. When looking at the house of your dreams, look for consistency in the architectural style and building materials. A single-story cottage-style house built in the ’40s with plaster walls and clapboard exterior siding that has added a new wing with modern building products may be an indication of unauthorized modifications and substandard workmanship. Should this be the case, it could add up to big bucks to correct and a severe heartache for the unsuspecting buyer. House fires caused by faulty electrical wiring are common. Modern homes have an ample supply of power and electrical outlets. Older homes do not. It’s typical to see extension cords running from room to room in older homes. This places a burden on the electrical system, outlets and cords and thus could lead to a fire. Another common electrical problem found in all ages of homes is exposed electrical wires. Any wire that is exposed is susceptible to physical damage. If this occurs, it’s sure to wreak havoc. Open splice wire (when wire is conjoined using only electrical tape and/or wire connectors) is a typical do-it-yourself job and is common in garages, attics and crawlspaces as well as above dropped ceilings. This is high priority, however, and should be corrected by a licensed electrician. A WATCHFUL EYE WHILE YOU’RE AWAY. 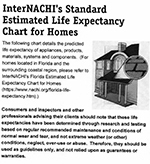 Southwest Florida is a special place to own a home and for those left vacant for extended periods there is a definite need for a home watch service to protect your investment and give you peace of mind. Slab-2-Shingles will conduct a visual inspection of the exterior and interior of your home for obvious issues or concerns that may occur while you are away. 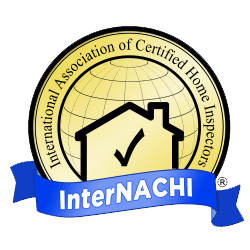 We visit every 8 to 11 days and can tailor the inspection list to your needs. Frequent inspections are recommended since it only takes a few days for a small issue to become a major problem. If these are not discovered in a timely basis things can quickly get out of hand. Slab-2-Shingles will be that “watchful eye while you’re away”… performing a 15 point visual inspection (exterior and interior) of your home. My neighbor, friend, or cleaning lady watches my home while I’m away. The cleaning lady specializes in cleaning of your home only. The cleaning lady may not be properly licensed, bonded and insured to conduct house watch checks on your home. Using the cleaning lady to check your home instead of a professional home watch business is like saying a dentist is performing an open heart surgery instead of a heart surgeon. Why should I use Slab-2-Shingles Home Watch Services? What if Slab-2-Shingles Home Watch Services observes an issue or problem which needs immediate attention? 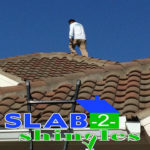 2 Slab-2-Shingles has vendors for every issue or project. Infrared thermography (commonly called infrared imaging or thermal imaging) is an advanced, non-invasive technology that allows an inspector to identify deficiencies in buildings that can’t be revealed using conventional visual inspection methods. Thermographic cameras detect radiation in the long-infrared range of the electromagnetic spectrum and produce images of that radiation. The amount of radiation emitted by an object, called “Emissivity”, increases with temperature; therefore, thermography allows for variations in temperature to be identified. You love everything about the house: the floor plan, the neighborhood, the backyard, the kitchen, even the colors. But it has some mold and the seller is unwilling to do anything about it. Take it or leave it. How do you decide? The most important thing is determining the source of the mold. A light dusting of mold on a few surfaces around an empty house because the air conditioning was turned off is not a reason to be freaked out. Knowing what has caused the mold is the first step to figuring out how much there is and how to fix it. Once you determine that it is a roof or plumbing leak, for example, and the location, then you can begin to evaluate the extent of the problem. The Environmental Protection Agency (EPA) has set a standard of 10 square feet of mold as the maximum area that can be safely cleaned up by a homeowner. But sometimes there is more mold hiding inside walls and ceilings that is not visible. This is where the advice of a mold professional can make the difference. A pro can determine the source of the moisture causing the mold, if it is not obvious, and give you a good idea of the extent of the infestation. From there, you can get an estimate of the cost to remediate the mold, and add in any additional expense for time you won’t be able to occupy the home while it is being remediated. Once you have a number and a time-frame, you can make a sensible decision as to whether to go ahead and make the purchase. If you are purchasing a home with mold Slab-2-Shingles can help you with all your mold concerns. 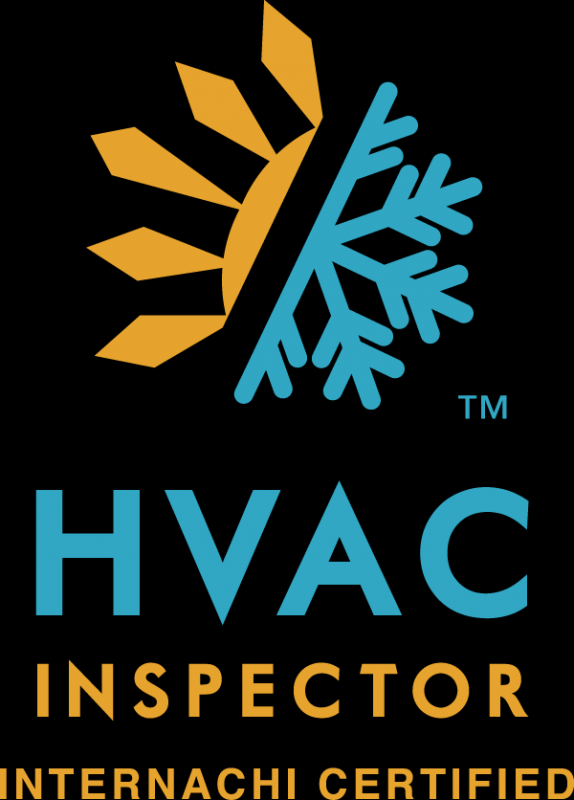 Have one of our inspectors give you a free estimate. 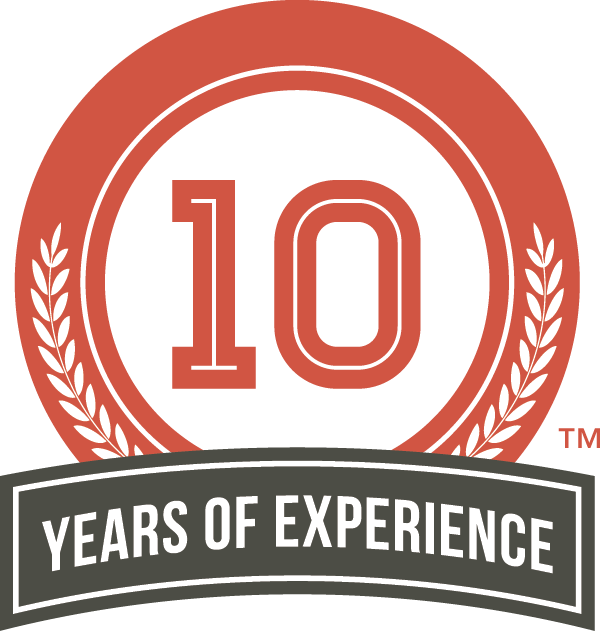 We have been solving mold problems here in Southwest Florida for over a decade. No matter what your homes mold situation is we can help. Not all molds are visible. Signs of mold are not always obvious. It is very possible for mold to be growing in spaces you cannot see. In places such as under the carpet, pads and rugs or behind drywall, paneling and wallpaper. Some other common places include air handling units and their drain pans from sitting water, liners of the a/c duct work that have gotten wet from condensation and roof materials that became wet from roof leaks or improper insulation. An air quality inspection can find this invisible mold. An air quality test is a sample of air taken from inside that is then analyzed at a lab. The lab tests for particles like mold spores, asbestos, pollen and other allergens. Each air sample contains 75L of compressed air providing a small insight into the environment. These tests will show what you cannot see with your eyes. A mold test is a way to quickly tell if you have mold or not. These tests use a swap of the area of concern. This swap is then put into a liquid that will turn green or purple. If this liquid turns green there is no mold present. However if the liquid turns purple then mold is present. The mold test is quick way to test for mold although, it will not tell you the type or level of mold. A mold test will also not detect mold spores in the air. This answer depends on what you are looking to find out about. We recommend that you use an air quality test since it is more accurate. An air quality test provides the most information about the environment of the samples. A mold test is a good way to get a quick answer. If you are concerned with if there is mold growth on a table. The best way to determine if mold is in your home is with an air quality test. Do You Really Need An Air Quality Test? Here in Southwest Florida the answer is YES! The high humidity and high temperatures increase your risk of mold. Florida is known for its water and mold is known for loving the water also. Schedule your air quality test NOW! It has been over a year since Irma landed here in Southwest Florida. 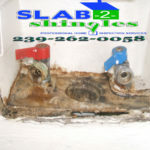 Slab-2-Shingles is seeing a lot of mold issues caused from small amounts of water getting into the home. In most cases this water has been unnoticed and/or untreated for over a year, therefore, creating the perfect conditions for mold spores to form. First, mold needs organic matter to use for food. Drywall, wood and carpet in your home serve as excellent food. Second, like everything living the spores need moisture. It is important to keep water out of your home since it needs water to grow. Third, mold needs warm temperature like the inside of your walls. Lastly, it needs oxygen to breath. Mold is in the air! There is always mold in the air. It is almost impossible to have a 100% spore free test result. It is only in high concentrations that the mold spores become harmful. Your home only needs the water to get onto the organic material like drywall or wood beams. Once the moisture collects, the combination of poor ventilation and high humidity create the perfect environment. The high winds from Irma forced water into a lot of homes. Even if your roof does not have an active leak water may have gotten into your home. The winds where so strong and carried large amounts of water. Our inspectors are seeing more and more cases of water in walls and attics. These are homes that did not show any signs of an active leak. When their roof is inspected the inspectors see signs where water has entered the home. Slab-2-Shingles can conduct an air quality inspection to test for mold spores. We also are experienced in mold remediation. No matter what your mold issues are you can count on us! Our team is professional and just as concerned with your family’s health. 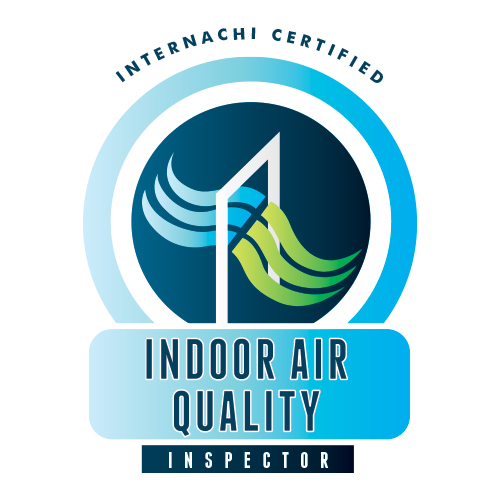 You can call our office at 239-262-0058 and schedule an air quality test or remediation. Or book online by clicking bellow. Home’s Age In Wind Mitigation Is Important! In 2001 the State of Florida adopted the 2001 Florida Building code. This code set forth more stringent requirements for the construction of a new home to withstand a hurricane. This new building code became effective on March 1, 2002 for any home that had a building permit issued after that date. 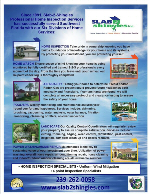 The State of Florida created the Uniform Wind Mitigation Inspection Form. The inspector performing your wind mitigation completes this form. Insurance companies use this form to provide the consumer with discounts on their insurance premiums. 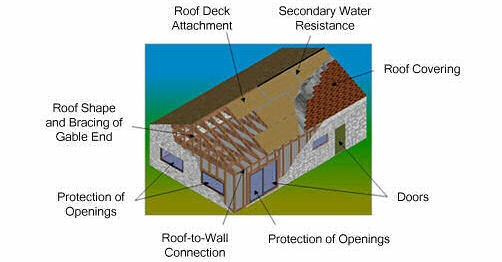 This is based on the ability of the home to withstand a hurricane. A Wind Mitigation Inspector evaluates seven different components of your house during the Wind Mitigation Inspection. We have reviewed these components in a previous article. (What Is A Wind Mitigation and Why Do You NEED It).The first component of the Uniform Wind Mitigation Inspection form asks the inspector to record the building date of the house. For home’s built in 2002 or 2003 the inspector must provide the building permit issue date for the home’s construction. Why Is The Building Permit Date Important? The first thing a Wind Mitigation Inspector should do when performing a Wind Mitigation Inspection is to determine the year the house was built. This is done by checking the building permits in the town or county to see when the building permit was issued for the construction of the house. The construction completed date and the Certificate of Occupancy date is not critical for a Wind Mitigation Inspection. Therefore the issue date of the permit has the most importance for the inspection. When answering section one of the Wind Mitigation Inspection form the critical issue is on what date was the building permit for the construction of the house issued. For permits issued after March 1, 2002 the house would have been constructed pursuant to the 2001 Florida Building Code. 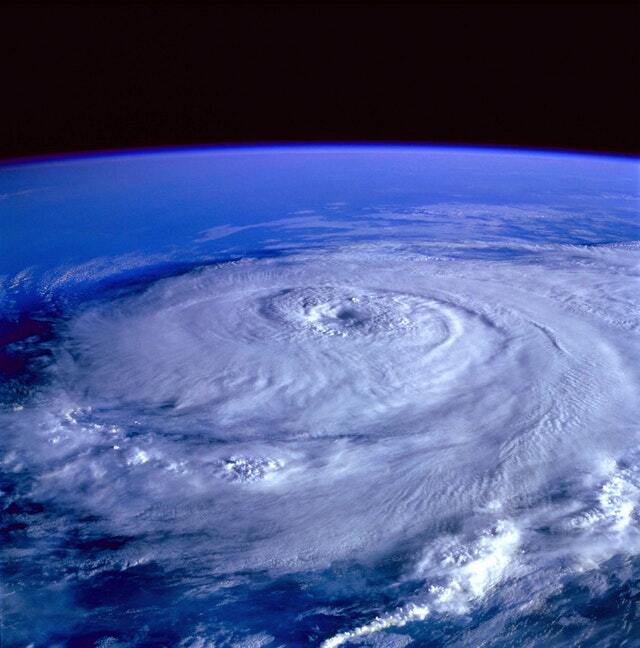 You should receive a reduction of your hurricane insurance premium. Furthermore section one of the wind mitigation form treats all house construction permits issued after this date equally. This is not true for all of the other sections of the Wind Mitigation Inspection form. The new 2001 Florida building Code required the use of better materials for certain components of the home. Homes built under the 2001 Building Code are more likely to withstand a hurricane. That is why the permit date is important in the Wind Mitigation Inspection Report. Any house constructed under a building permit issued before March 1, 2002, the effective date of the 2001 Florida Building Code, pays a higher insurance premium than a house constructed under a permit issued after March 1, 2002. A State Licensed Wind Mitigation Inspector must conduct your Wind Mitigation Inspection. 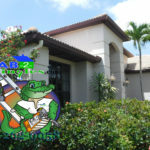 For twenty years Slab-2-Shingles, located in Naples Florida, has been doing home and wind mitigation inspections. 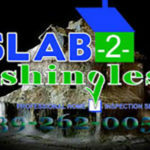 Licensed in the State of Florida and Slab-2-Shingles services Naples, Marco Island, Bonita Springs and Estero. 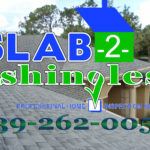 Slab-2-Shingles has performed thousands of these inspections. In conclusion the construction date of your home plays an important factor in your wind mitigation inspection. Also, the construction date affects your hurricane insurance rate. In 2001 the State of Florida adopted the 2001 Florida Building code. This code set forth more stringent requirements for the construction of a new home in order to withstand a hurricane. This new building code became effective on March 1, 2002 for any home that had a building permit issued after that date. Therefore, this is especially important for coastal cities such as Naples, Marco Island, Bonita Springs and Estero. Per the new laws, a Wind Mitigation Inspection performed by a licensed Inspector can save homeowners thousands off their insurance premiums. The State of Florida created the Uniform Wind Mitigation Inspection Form. A licensed inspector completes the Uniform Wind Mitigation Form while performing the Wind Mitigation Inspection. A wind mitigation inspection measures your home’s ability to withstand a hurricane. Consequently insurance companies will use your wind mitigation inspection to evaluate discounts applied to your insurance premium. A Wind Mitigation Inspection evaluates seven different components of your house. The insurance companies use the answers on your wind mitigation report to determine the discount. What year was the house constructed? What year was the roof installed? How is the roof deck attached to the roof trusses? How are the roof trusses attached to the house walls? What is the geometry or shape of the roof? Does the roof sheathing have Secondary Water Resistance protection? What type of wind and missile protection do the windows, doors and garage doors have? The seven wind mitigation components are not rated equally. When determining your insurance discount, each component has a different rank. Certain components are more important than other components in a Wind Mitigation Inspection. The State of Florida adopted the new 2001 Florida Building Code, which became effective on houses that were permitted for construction on or after March 1, 2002. The new codes imposed more stringent building requirements on the construction of all new homes and roof coverings. Therefore, any house permitted for construction after March 1, 2002 will receive more discounts than a house permitted for construction prior to that date. Since the 2001 Code was adopted, the State of Florida has adopted numerous modifications to its Building Code. These modifications require that additional hurricane protections be installed in every new home permitted after the effective date of the new Florida Building Code. The main addition, to the 2004 Florida Building Code, is the requirement that all glass openings in a house be protected by impact rated windows and doors or that all glass openings be protected by impact rated shutters. Therefore to qualify for a discount on a homeowner’s insurance policy, a state licensed wind mitigation inspector must conduct the wind mitigation inspection. 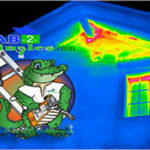 For twenty years, Slab-2-Shingles has performed thousands of home inspections in Southwest Florida. 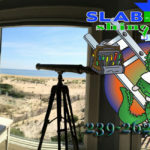 Slab-2-Shingles’ licensed inspectors are available to service homes in the Naples, Marco Island, Bonita Springs and Estero areas. Call 1-239-262-0058 now to schedule your wind mitigation with one of our friendly and professionally licensed inspectors and start saving on your home insurance today! We hope this information has helped explain the importance of having a wind mitigation inspection and how this service coupled with certain component of your home effect your homeowner’s insurance rates. You can find more information on Wind Mitigation inspections and other important information concerning related inspections for your home such as radon inspections, mold inspections, home inspections and home watch servies at our web site Slab2shingles.com.